In this post, I’ll try to provide an overview of the results of the work we’ve done during the Workspace sprint in Pineda de Mar, Catalunya, Spain. The sprint is still going on, unfortunately I had to leave early to attend a friend’s wedding. Before going into any details, a few thank yous and credits are in place: Aleix Pol and Alex Fiestas for being excellent hosts organising this sprint (including picking this terrific location which allowed us to concentrate 100% on our processes and 0% on the beach), KDE Spain for sponsoring our food, the KDE e.V. (and its donators!) for sponsoring travel expenses and providing organisational backing, Kevin Ottens who took a sizable slice of time out of his vacation account in order to facilitate meetings, enabling group dynamical processes and generally being a good moderator, Björn Balasz for chipping in time and providing his background in psychology and usability and of course open-slx, my awesome employer. We’ve identified areas where we can improve the activities workflow. Switching between Activities and getting an overview can surely be improved. There have already been some ideas floating around, and some smaller and larger improvements are in the pipeline to see the light of day in one of our future releases. In some parts, we’re transplanting features we have matured in the Plasma Active user experience into the desktop. The Plasma Way: Share code across devices, investigate workflows across apps and device borders. (So a workflow which we want to enable may actually involve using more than one device — we want to make especially these patterns a lot easier, intuitive and fun to use. There’s a few real challenges in there, although many parts involve someone “just sitting down and doing it”. Personas: I’ve dedicated a separate blog entry to Carla and Raj, our brand new personas, so I’ll kindly refer you to that. Social networks and messaging: Carla’s and Raj’s lives involve talking to people across different channels. We want to enable these patterns by providing deep integration of messaging and social networks into the desktop. While we likely will not ever support every single feature of all social networks, we definitely want things like native notifications for messages, and being able to keep tabs on the going ons around you. Technologies we’ve been working on in the part years and which are coming to mature now will be a great help in creating a nice user experience here: Akonadi, Telepathy being at the forefront of double-plus-useful frameworks here. Something I found particularly exciting was the call by a few participants to reinvigorate Project Silk. The idea is to make the web, web apps, -applications and -services first class citizens in the desktop. This can range from the introduction of a site-specific browser to deeper integration of online content and services: think of FlickR integration in Gwenview, caching data from online sources, providing native UIs for services that are otherwise a bit cumbersome to use, and much, much more. I’m surely hoping we’ll see a surge of improvements in this area. I’m also happy that Richard and I documented our ideas quite well when we came up with them in 2009 at the Desktop Summit in Gran Canaria (coincidentally also Spain, at least technically ;-)). There’s almost too much exciting new ideas that it’s hard to report about all of it without choking your feedreaders or webbrowsers, so I’ll just mention a few more telegramme-style. Feel free to ask in the comments if you have specific questions, or just head over to the plasma-devel@kde.org mailinglist where you can discuss with the whole team involved. As base for identifying needed improvements, we will concentrate our thinking on which workflows we can enable for users. This first line of identification will be thought about without a specific device in mind. Much more so, workflow can and often do include different devices. We want this to be at the heart of our designs. Virtual desktop will remain what they are, orthogonal to the principle of Activities, We do not plan any sweeping changes here, in order not to break engrained workflows. Nepomuk synchronisation across devices is still a very challenging problem. It needs more design and research work to define an achievable scope. We’ve proposed a few changes to KDE’s release rythms, basically decoupling the releases of workspaces, applications and (in the future) KDE Frameworks. This is basically a continuation of KDE’s effort to implement branding closer aligned to how we work and what we produce; currently under discussion. Notifications will likely receive a rework in order to make them more activity aware, and to display insensitive information on a lock screen, just to name two examples. Clemens of Blue Systems attends the sprint as well, it’s good to see new faces participating and supporting KDE. We’ve had very interesting conversations about all kinds of topics. Maybe the most important thing was the sharing of the Plasma vision with a wider team of contributors. It strikes that Plasma lately has been moving so incredibly fast that we built up a backlog of communication, some of which we managed to knock down in the past days, but it surely will take some time until all ideas, concepts and processes are ingrained into everybody’s brains. The first steps for this have been taken, however. As you can see, that’s a lot of stuff we have carved in sand in the past days. It will need refinement, and consolidation, more design, ungodly amounts of hacking and surely won’t all be implemented in a whim. It does however give everyone a good idea where we’re going, and what the steps into that direction are. Exciting times ahead. If you’re looking for more sprint results, I’d also read Marco’s blog about it. Saying good bye was relatively easy this time around, as most people attending the sprint will also be at Akademy, which starts in two weeks in Talinn, Estland. The next Plasma sprint is planned in September in Switzerland. The plan is to mostly work on libplasma2, QtQuick2 and Frameworks 5 in order to technically pave the way into the future of the Linux workspaces. I’ll be travelling to two conferences this summer, where I’ll be presenting and demoing Plasma Active to the audience. Those are FroScon and of course the Desktop Summit to be held in Berlin. As we’re working on issues central to how we all (KDE and Qt hackers) develop, I’m sure you’re impatiently waiting for results to pour onto the Internet. While our first focus is on personal interaction and using the facetime and “high personal bandwidth” to solve hard problems, you can get at least an overall impression of the direction of our work, as we’re tracking our results on the wiki. What is really good and healthy to see is the number of different stakeholders (sometimes represented by the same person wearing multiple hats). This way we can make ‘reasonably sure’ that we take different point of views into account, and find solutions that work for us all. One might expect that this results in endless discussions, but in practise, most of us are on the same page, and where we’re not, we’re taking the time to sync up and see how much common ground we have, and how we can take advantage of that. There are people from up and downstream, from subcommmunities and companies, and people that all have different stakes in the KDE platforms and frameworks. A big thanks goes to those who made this sprint possible: first of course to all the participants who are focused, motivated and working hard to produce good results. Then of course to Mario and his excellent team of volunteers who make sure we’re fed, warm, safe and taken care of. There is a number of sponsors without which this sprint would not have been possible, those are the Raiffeisen bank, Swisscom and openSUSE who generously chipped in to get us all together for a focused meeting to improve our foundations. Thanks to you all! We are certainly justifying the energy, passion and resources made available to us by working very hard to produce good results! Tonight I’ll board a sleeper train which will get me to Randa, Switzerland by tomorrow morning. 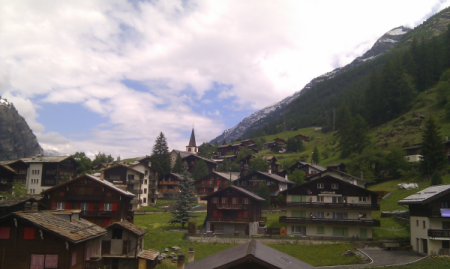 I’m travelling to that small village in the Swiss Alps to participate in the Platform11 sprint. To me, this sprint marks an interesting point in the lifecycle of KDE 4, as we are now rethinking the structure of our platform. 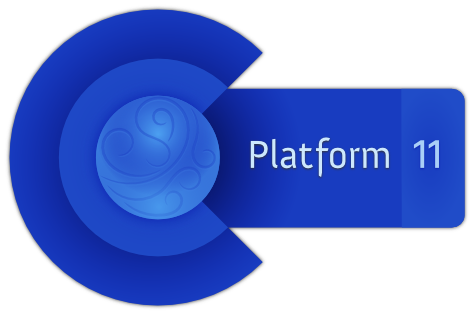 Last week, we had an interesting discussion wether the development libraries KDE software bases upon are called a platform or frameworks. I personally prefer to think of it in terms of frameworks, because that has a less exclusive nature to it. A platform sounds very much monolithic, while frameworks give a modular impression — and indeed, one of the goals of the Platform 11 sprint is modularity of our "platform". One of the goals for me for participating in Platform 11 is to make our development frameworks more suitable for building non-desktop systems. There have already been efforts that work into this direction for quite some time (the platform build-time profiles come to mind, or recent work on libplasma2), but we haven’t yet had a focused meeting where we sat together to discuss our platform as a whole. That will likely mean a bit of restructuring in our libraries, deprecating some overly old stuff, and examining where we’re lacking a consistent API for modern needs. Geolocation comes to mind here, and rumours are that there’s an exile-kiwi coming with plans to Randa. 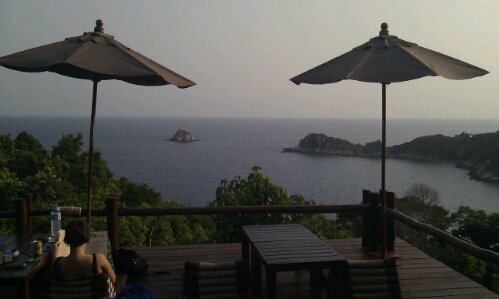 Last night, during dinner Kim asked me what I’m looking forward to in Randa other than technical and community bits. My answer was “watching the mountains”. As I’m living in the Netherlands, mountains are not a normal thing in sight, and the magnitude of those Swiss Alps keeps astonishing me. I’m also looking forward to those idle moments staring at the mountains.